If you have done any reading in the popular Reef forums. You know T5 bulb combinations for best color, and growth, are vast, and one of the most debated subjects in this hobby. And The people at BRS have showed us a wealth of information on this subject as well. Any ATI offering will grow coral. That being said. I have been using the popular 3, 2, 1 combination, in my 6 bulb fixture. 3 Blue plus, 2 Coral plus, and 1 Purple plus. And love the results. However, even though the color of light was a pleasing deep blue (to my eyes 16-18k). It was rather dim to view in my opinion. So changing out one of the Coral Pluses for this bulb brightened things up. You will loose some of the blue obviously. As this is a white bulb. I am very happy with this bulb. This is a good bulb and produces a lot of PAR, but be aware that next to something like an ATI Blue+, this is going to appear white. I tried a 50/50 mix of Aquablue Special and Blue+ and it's too white for my liking. I like a bluer 20,000K look if that helps. I have been using these bulbs for over 8 years. I get tons of growth on all of my corals. I did a lot of research on T5 bulbs before purchasing this last year. They have been nothing short of amazing bulbs and I just purchased my second set. YES you should change them every year, probably every 9 months or so. I saw a big improvement in my coral growth with these lights. I use them with LED and I strongly suggest the T5/LED hybrid combination. No need to purchase an expensive unit if you already have LEDs, just add these T5s with the kits sold here on BRS. Your results are nothing short of amazing. 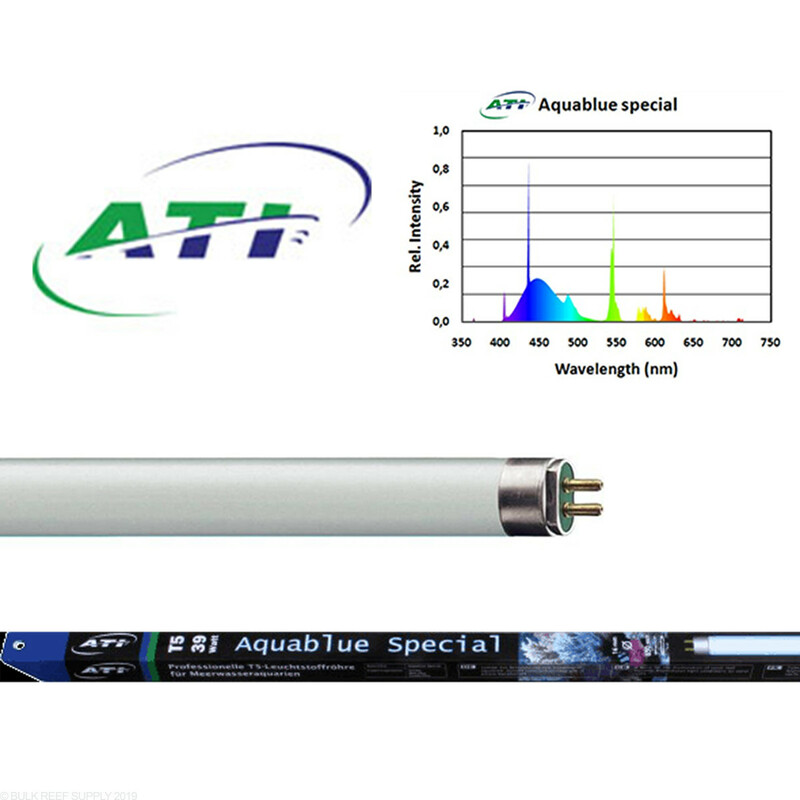 The combination of ATI Blue Plus and ATI Aquablue special is not original. It is suggested on ATI's site. All I can say is good color and good coral growth for a good price. You can't beat it... I do not suggest you try to beat it since glass breaks easily. SO no beating the class. Just go with these and be happy. These bulbs are the best T5s on the market. I buy a new set every year. Thanks bulk reef supply. So I was hesitant to get this bulb because I didn't think it was going to be blue enough. Well, it's not very blue...at all. BUT honestly I noticed within less than a week I had some noticeable growth in my corals; and their colors have came back. I added these to supplement my Kessil 360 WE. I really wish my Kessil's would have been enough, but after 6 months and not so great coral growth it was time to see what T-5's could do. I may in the future do T-5's only, or T-5's with MH. Coral growth and looks speaks for itself. Definitely worth buying these bulbs! This bulb promotes amazing growth along with a great spectrum of light! This bulb looks amazing. Highly reccomend this bulb! I have a 6 bulb ATI Sunpower fixture and I run 1 ATI Purple Plus, 2of these, and 3 ATI Blue Plus. It sounds like a lot of blue but it really isn't too much. I get great growth. The only bad comment I ever had about my tank came from my wife. When I first installed these, it was too bright in the living room and she wanted me to move the tank because it was distracting her from the TV. I'll take complaints like that all day long. Are these t5 or t5 ho? All of our bulbs will be High output for designed use with coral growth. Feel free to let us know if you have any further questions! I have a led unit (white led 12-14 Kelvin and Blue led 470nm - 480nm) on my SPS coral tank. But I also have space voor 2x T5 bulbs. Which ATI bulbs would you recommend me? 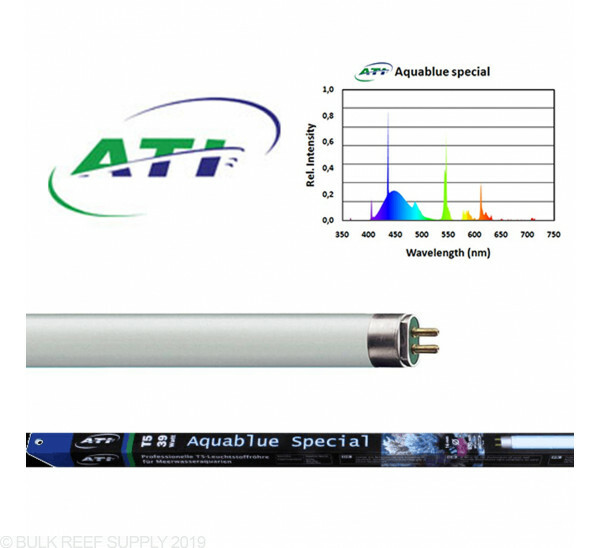 We recommend the ATI Blue Plus and Aquablue special for best growth and what we use over our systems. Feel free to let us know if you have any further questions! 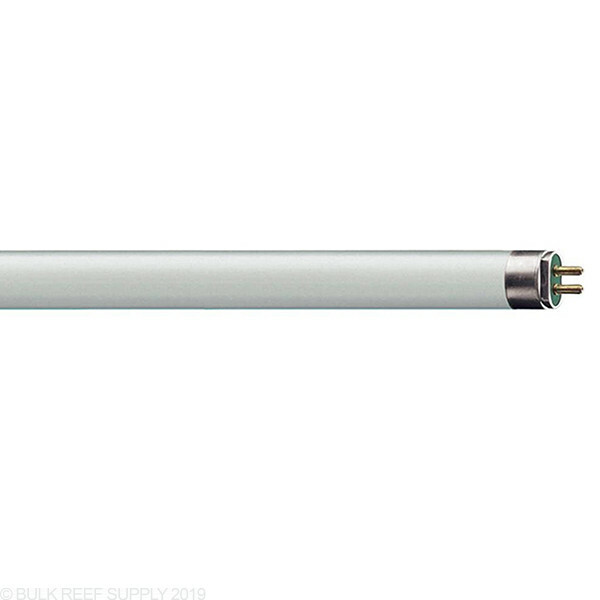 Can this light be used in planted tropical freshwater aquariums? Unfortunately we are not the best judge for freshwater planted and cannot verify the beneficial growth. Most planted tanks will use a spectrum in the 6500K setting. Feel free to let us know if you have any further questions! 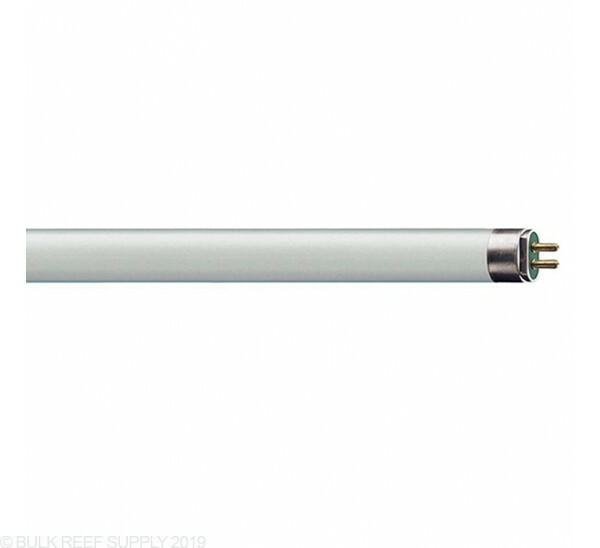 Looking to upgrade my bulbs and looking at the ati bulbs I have the aquatic life 12 bulb fixture. What would be the best set with bulb colors for my tank. No sps In the tank. For a 12 bulb set up, I would just double the 6 bulb recommendation. It may be the giesemann Aquablue listed below. 57" is going to be 80 watt.